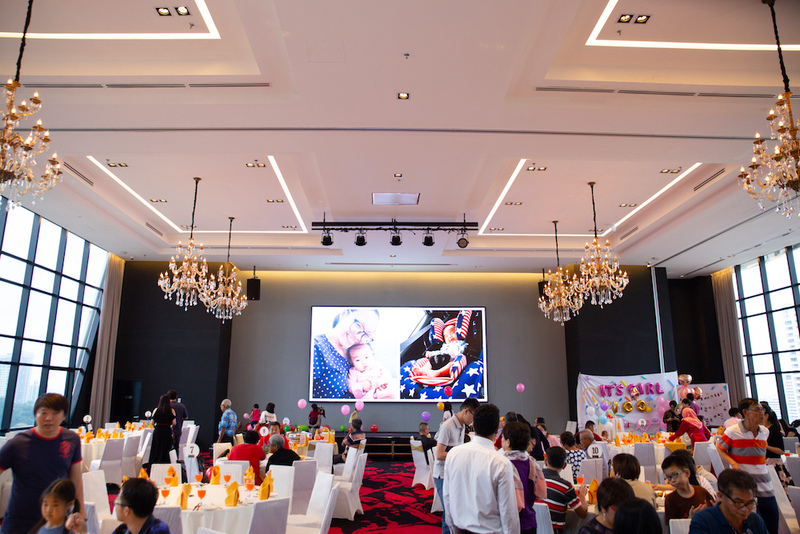 The high ceiling Grand Sky Ballroom features a column-less space that is perfect for corporate events or special occasions. 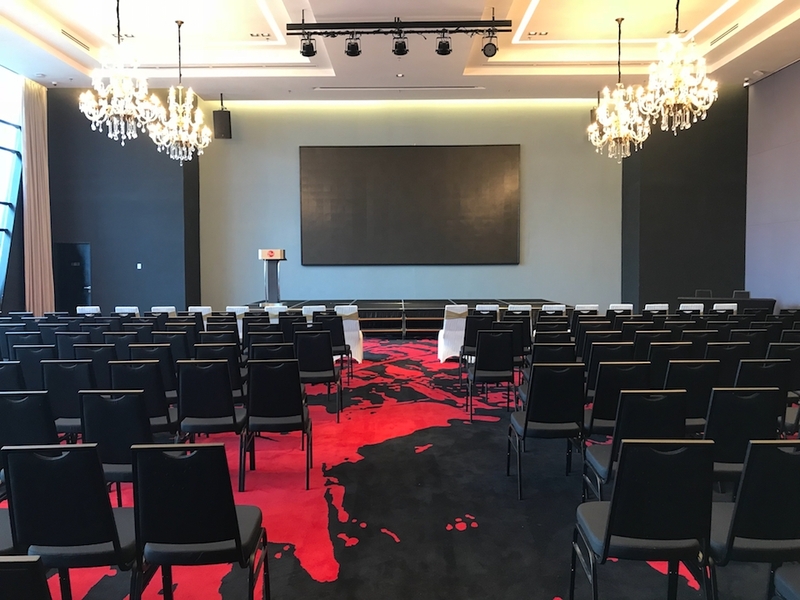 Chandeliers hanging from the ceiling bring a luxurious feel for your event with dramatic accents of red and black carpet. 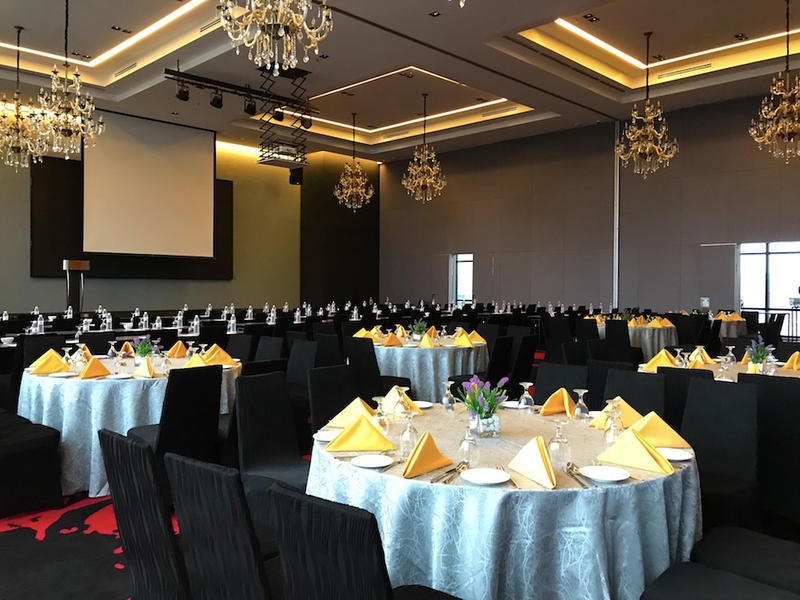 The Grand Sky Ballroom is perfect for any event – from weddings, annual dinners, product launches to trainings and conferences. 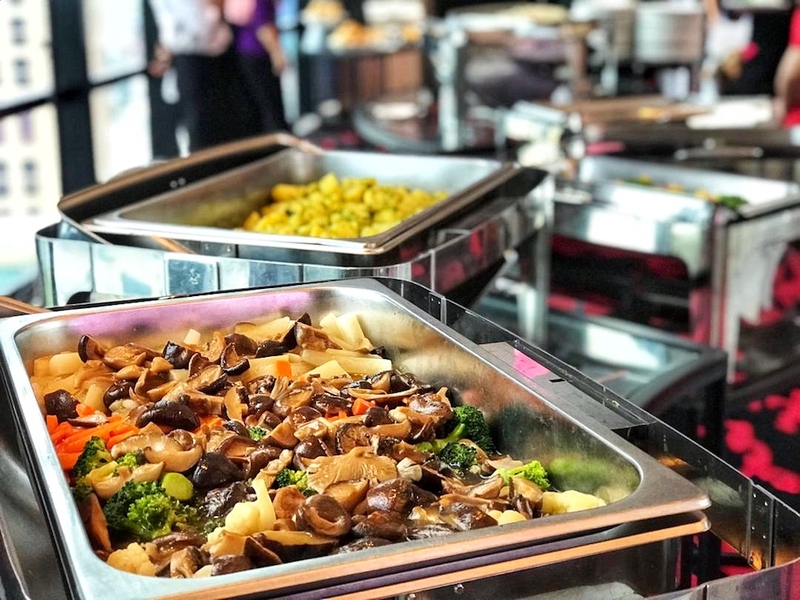 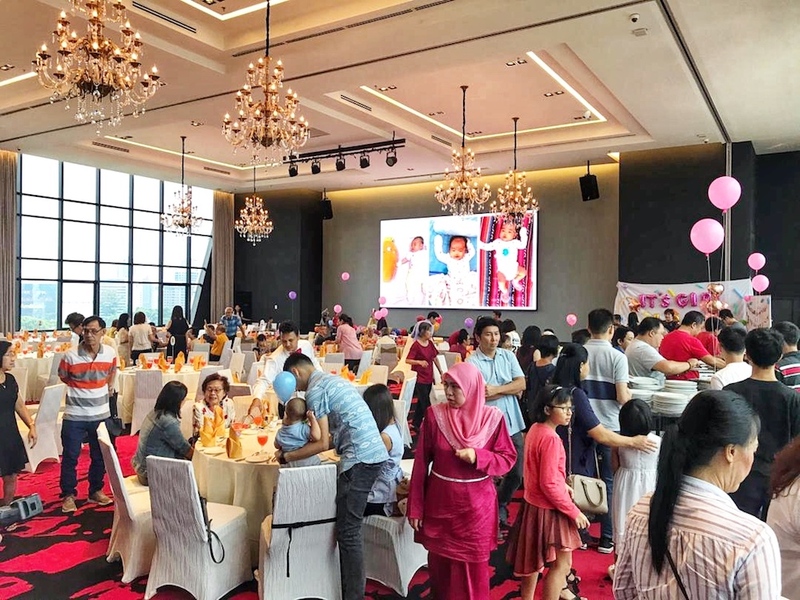 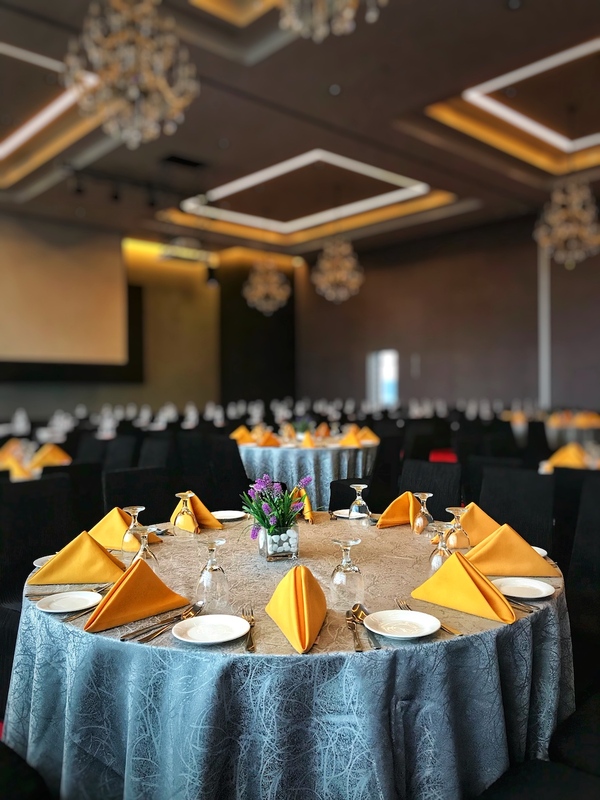 The Grand Sky Ballroom at RED by Sirocco, Kuala Lumpur is in the heart of Kuala Lumpur city, yet tucked away in the old KL charm neighbourhood of Dang Wangi. 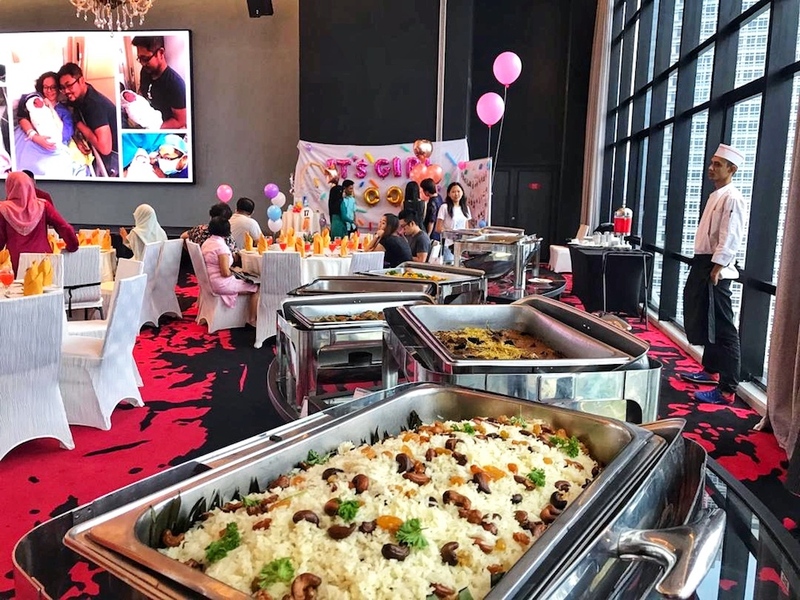 Quill City Mall and Sogo KL Mall are just a stroll away whilst the Medan Tuanku Monorail Station and the Dang Wangi LRT station are within walking distance.